Family Office Insights sits down with Samer Salty, CEO of Zouk Capital, to discuss his private equity fund management company investing in clean and efficient economies to accelerate growth, increase market share, and create value while delivering scalable social and environmental impact. Tell us about your background and your company, Zouk Capital. Upon receiving my B.S. in Electric Engineering from California Polytechnic, I spent 7 years designing and implementing communications and computer systems for the US Federal Aviation Administration, leading the design and management of large Air Traffic Control technical projects while at Martin Marietta working with AT&T, Hughes Aircraft, and Lockheed. Following my MBA at MIT, I went into quantitative finance and derivatives, initially at Citibank but mainly at JPMorgan. While in Investment banking prior to founding Zouk Capital, I always focused on technology including working on M&A and private equity transactions within the Telecom, Media and Technology Group at JPMorgan. When I founded the Zouk Capital in 1999, the Internet market was booming. We raised €81m to invest in start-up technology and Internet companies in Europe. However, in 2001-2002 when the market crashed, so did everyone’s portfolio, including ours. It was a difficult period to go through, but I decided that I was determined to do this for the long term, so instead of folding the business like many around us, we decided to roll up our sleeves and restructure. We brought back the fund from zero to almost 1x value. One of the companies we were seed investors in we built over the years to become a successful European internet story which currently has a 1.3 billion Euros market cap. During the same time, I invested and helped build The Carbon Neutral Company in 2000, making Zouk the first institution globally to invest in the carbon market. My vision for sustainability started with this investment, and my philosophy became all about making Zouk the leading private equity firm in digital and sustainable economies that creates both economic value, while abiding by sustainable principles. Zouk has two separate channels that dictate our business strategy: first is in technology growth, and the second is infrastructure. Our technology growth team helps to accelerate growth, increase market share, and create value while delivering scalable social and environmental impact in the process. In addition, with a separate infrastructure team, we invest in the next-generation sustainable infrastructure (wind, solar, waste-to-energy, and electric vehicles) with operational excellence and capital gains at the heart of our strategy. This fund that we are presenting, Growth Fund III, we will be focusing on technology growth. For Fund III, we look to do just what we have done in Fund II. We focus on the funding gap in the European market for the C, D, and E rounds. Typically, we look for companies with European and Global growth aspirations. We don’t take technology or market risk but rather we take scalability risk starting with companies that do at least 10m in revenue, and are growing at 50-200% per year. We invest in companies that are Software, Saas based, in Fintech, IOT, IT, cyber security, and online education, among other areas within the technology landscape, and we are also interested in special AI and robotics. In addition to the primary financial return, we also we pay attention to what impact the company puts out in the world and what value we can add to them. The most important factors we look at are the people, the quality of the early stage investors and the quality of the management team. Having over 30 years of experience in private equity, investment banking, and technology, I have found that the quality management team is the most valuable criteria for any investment. Generally, we are looking to invest a minimum of 65% in European companies and up to 35% in US companies. Although our main target has always been in Europe, we have relationships with funds in the US that will send us deals that they find are a fit for us. We have been approached many times about US companies trying to enter the European market, and for those interested companies, we are the fund to do it with. The challenge of having a European company and European investments is deciding what country do you go into next after proving the home market? When you’re growing in one European country, you have to think about what’s next for this company and what are the next countries to enter. Do we enter into the US, or Germany, or Scandinavia? It all depends on the offering and the management team. This creates a challenge because you need a little more funding for this type of stage. You can’t afford to burn through cash while learning on the spot, so you have to plan out the next steps carefully, which we do well, discerning opportunities. Many years of experience helps a lot here and one is able to turn it into a defensive advantage. How are you different from you key competitors? Who are they? 1. Applying a combination of technology, private equity and quantitative financial analysis to early stage technology companies as they reach the growth phase. With those skills, we partner with early stage funds to infuse private equity skills and strategy into technology growth. We focus on market analysis, analyze company growth and create a model around that. 2. We don’t over-structure a deal. We believe in simplifying the capital structure, which the management teams appreciate, seeing visibility and transparency of each step. Early stage investors appreciate that as well as we do not crush their rights. This leads us to high quality deal flow and recognition in the European technology investment space for our positive positioning and approach. If we narrow the niche to a combination of technology growth and sustainability, we are the number one player in the field. In terms of general technology growth, there are other funds that do this. There are several big private equity funds that do what we do at the higher end, investing €50m-100m in Rounds E and F, but there are very few dedicated funds that invest like us in Rounds C and D. There’s an opportunity where there is a funding gap in Europe in Rounds C, D, and E, which we are uniquely positioned to address. There’s plenty of seed funding, (and excitement at this stage) but when technology growth funding is needed, there’s a shortage of investment houses and teams that can price and lead transactions in Europe like us. When there is a deal in which multiple funds are interested as well, we often don’t compete against them, but we work together and invest with them. After many years of experience, I have found that the most important thing is less is more, which is why I believe in a less structured deal. We find that it’s counter intuitive to be the last money and not take advantage of the positioning to over structure a deal. We have found that it is often better to have a simple approach to structuring and rights unlocking value. By going with this approach, it’s been very eye opening for people in the market. We believe in unlocking value through simplifying a deal structure. We are also thought leaders when it comes to sustainable investing and have written and published numerous articles that share our knowledge, expertise, and appreciation for technology, finance, and how technology is creating a sustainable future. We are looking to deepen our relationships with US investors. We found that US investors are more seasoned and who are looking for long-term growth and partnerships. The technology landscape in Europe out performs that of the US: the average capital invested is less, the barriers to entry are less, but the returns are higher. We are at an incredibly exciting juncture where our returns are expected to be strong with high returns for our investors. We are looking to establish long-term relationships with the investors coming into Fund III, as we believe our expected performance will afford us to stay with a limited and tight groups of investors for many funds to come. Fund II is on track to have strong performance. Our current target base case is expected to be over 2.3x gross multiple/ 24% IRR, with upside potential for >3x/30% IRR with 6 realized and part realized exits to date and additional 4 unrealized investments with the potential of more than 3x each. Anesco, a company I co-founded providing energy efficiency services, went from zero to £160m in revenue in just 5 years and became the UK’s fastest growing company. We exited after 2.5 years with realized returns of 7.7x. iZettle, the equivalent of Square in Europe, we led the C and D rounds and over 120 mio of investments to become the European leader with expected valuations over 1 billion Euros. We are looking to finalize a first close on our Fund III very soon (end of August / beginning of September), with the next round closing at the end of this year. We have already lined up many committed institutions. Fund III sector allocation will be substantially the same as Fund II, with a majority of companies in the Software/ICT space, followed by select investments in Industrial Technology and Business Services. For Fund III, we are raising €35M-40M for our first close and have ~€5M left to complete the first close. Currently the intention is to seek the remainder exclusively from Family Offices, ideally 1 or 2 of them for the final €5m that we have left. As part of the first close, we will have flexibility for interested parties to come in under €5m. Traditionally we have sought out mainly Institutional Investors, but we are interested in expanding our relationships in the Family Office space and would love for our next investors to be Family Offices. However, we will certainly consider an interested institution. In the event of oversubscription and interest, we are open to accepting beyond the initial amount currently targeted for the first close. After the August / September closing date, the minimum investment will be €5m, so participating in the first close will be the last opportunity to become involved at a lower minimum. To continue to be the highest performing technology growth investor in Europe with a focus on resource efficiency and sustainability. We want to focus on what we are doing and continue to be the best at doing what we are doing. We are on the verge of really high performance because of our experience, the brand and marketing strategy we have, and the position we are in. We feel very strongly about Fund III, considering all the opportunities we see and the lack of competition in this space, we project this will be a great fund. Samer Salty has over 28 years’ experience in private equity, investment banking and technology. He has considerable management expertise and has spent the last fifteen years building technology companies. His vision for the sustainable economy is to make investments that both create economic value and build on sustainable principles that are at the core of Zouk’s investment philosophy. Prior to founding Zouk, Samer worked on M&A and private equity transactions within the Telecom, Media and Technology Group at JPMorgan. He was also head of Global Markets for the Middle East region at JPMorgan, structuring large corporate finance and derivatives transactions with institutional clients. 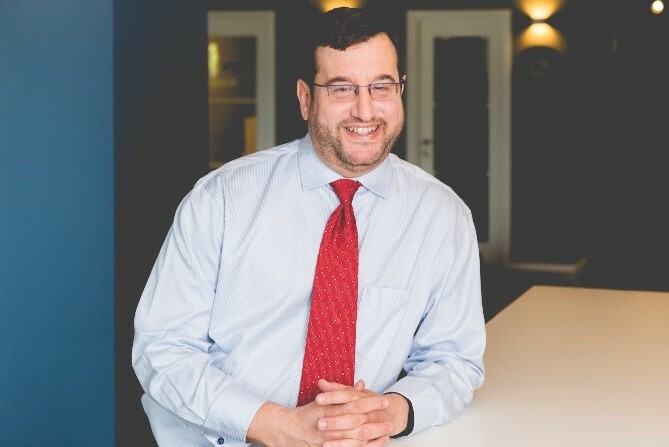 Samer also spent seven years of his career designing and implementing communications and computer systems for the U.S. Federal Aviation Administration. Furthermore, Mr. Salty led the design and managed large technical projects while at Martin Marietta and, worked directly and as a consultant for AT&T, Lockheed, and Hughes Aircraft. Samer leads Zouk’s strategic direction and investment process, overseeing the management of Zouk’s dual track technology growth and renewables infrastructure strategies. Samer is primarily focused on Zouk’s technology growth investments, actively sourcing and identifying new investment opportunities. 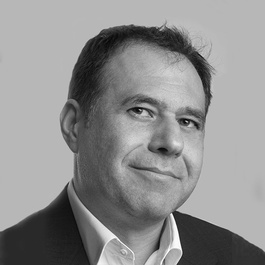 He also works closely with Zouk’s portfolio companies and currently sits on the Board of ip.access, Off Grid Electric and Solar Century Holdings as well as monitors investments in SIGFOX and Lighting Science Group. Samer was also on the board of Anesco, a business which he co-founded and helped to build into the UK’s fastest growing company, exited at 7.7 x. Samer has identified a funding and skill set gap in the support of the growth of European technology companies and has built a specialized growth capital team to address this. He takes an active role in the day to day management of the team together with Nathan Medlock, ensuring that the team is kept motivated and focused. Samer holds a B.S. in Electronic Engineering from California Polytechnic and a M.S. in Management and Finance from MIT. He is a member of the Advisory Board of the MIT Sloan School of Management and the International Council of Harvard Kennedy School of Government Belfer Centre, and is a Fellow at the Aspen Institute. If you’re interested in participating in this fund, please contact Norris Latshaw, Investor Relations, at nlatshaw@zok.com.